Sweet Lime /. Mosambi - 2 nos. Ripe Pears (yellow variety) - 1 no. 1) Soak saffron strands in 1/4 tsp warm milk or water for few mins. 2) Wash, peel and dice all fruits. 3) Puree the fruits with crushed ice & ginger till they are almost done. 5) Strain and add white pepper powder, chaat masala. Mix well. Wow!What an interesting concoction! Looks so tempting. lovely- good one indeed ! 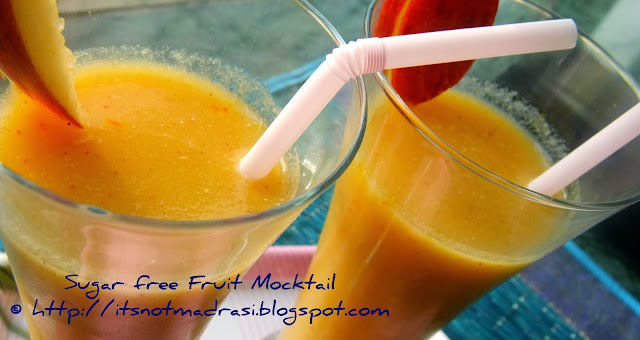 wow such an delicious n refreshing drink..
Love the tangy taste and soothing color of the mocktail. Love its color.. The ingredients used are very unusual for me.. Love to try..
perfect cooler.. love the colour! Interesting ingredient list! Looks tempting and mouthwatering! very colorful and great mix of fruits !! looks very refreshing !! Ginger mocktail. Must have been refreshing. Healthy too. 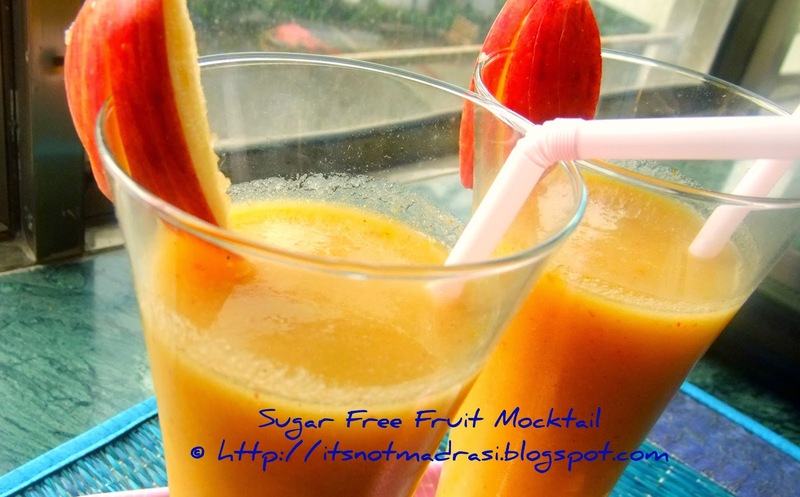 I love adding ginger in my fruit juices, this looks great !!! Love the sugarfree flavorful drink! sounds very interesting. Must try this.